Rose gold PVD stainless steel case with a black leather strap. Fixed rose gold PVD stainless steel bezel. 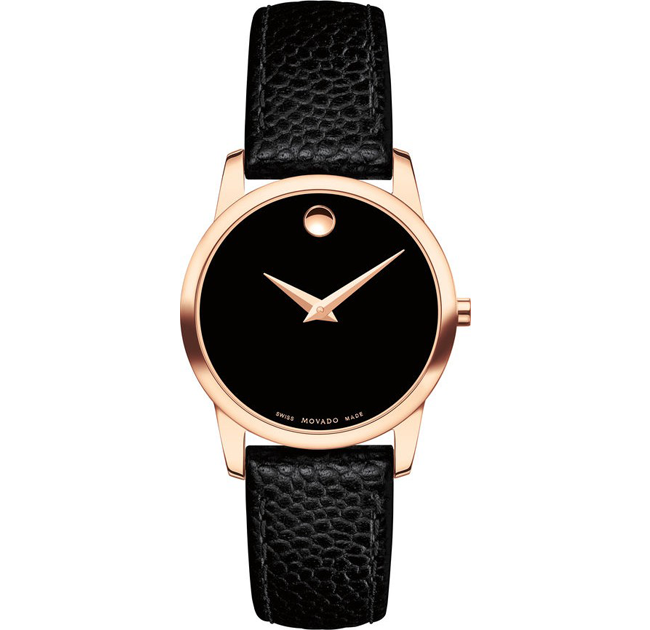 Black dial with rose gold-tone hands. Dial Type: Analog. Quartz movement. Scratch resistant sapphire crystal. Pull / push crown. Case size: 28 mm. Round case shape. Water resistant at 30 meters / 100 feet. Functions: hour, minute. Casual watch style. 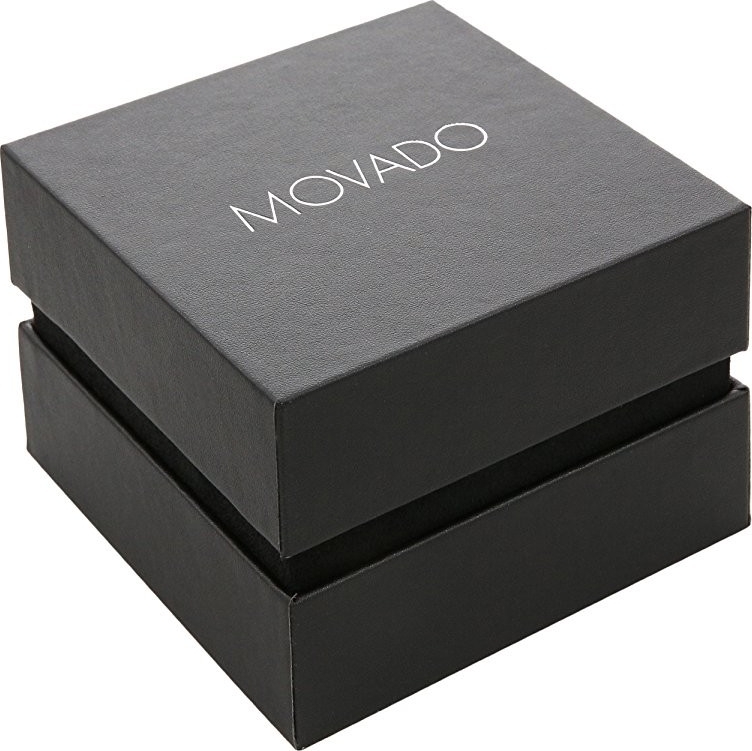 Movado Museum Black Dial Leather Ladies Watch 0607061.